Jason Santiago, a seventh grader at St. Luke’s School, reads aloud from the “Dreamer’s Affirmation” on banners hanging in an office-sized room on E. 139th Street. The office serves as headquarters for a new afterschool program that emphasizes fellowship, scholarship and service. 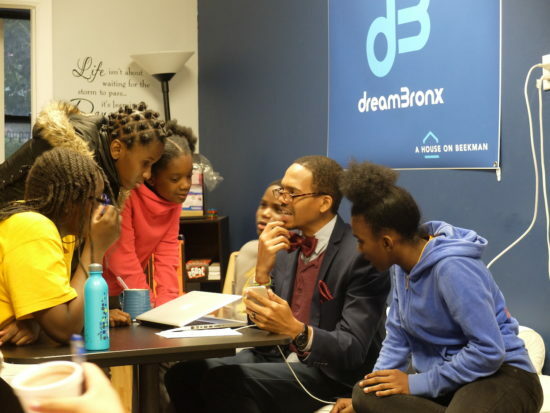 Launched this summer, dreamBronx is geared for middle schoolers as part of the faith-based, educational non-profit A House on Beekman (AHOB), serving families in Mott Haven. 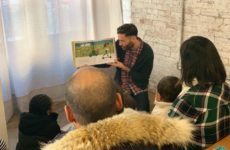 According to Afterschool Alliance, 74 percent of New York parents believe afterschool programming helps them keep their jobs, and reduces the likelihood of children engaging in “risky” behavior. Two out of every three parents say that afterschool excites their kids about learning. Executive director Sara Miller started the program in 2011, noticing a pattern of continually low test-scores in school district 7. According to a New York Times performance index study, less than 30 percent of public school students in 6th through 8th grades were passing. 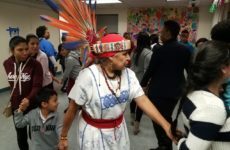 The program serves youth from birth to teens with holistic, free educational programming, aimed for families that live within a six-block radius, between East 138th and 143rd Sts. 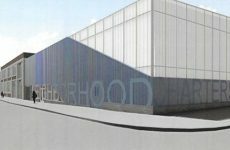 The non-profit is privately funded, with endowments from Hope for New York and the Women’s Bible Society. Seanette Gwin, a “leader” at the Mott Haven site, said programming for teens and pre-teen is urgently is a big need in the neighborhood, and books are key. Staff and the children discuss tough topics such as poverty, underage drinking and mental health. “Family meetings” allow the group to bring up personal issues and hold each other accountable. “We talk about tolerance and setting goals. Everyone here deals with challenges, so it’s cool we can express ourselves without being judged,” said sixth grader Steven Ovales, 11. Christina Santiago, 31, said that for her son, Jason, joining dreamBronx last summer helped her recognize—and later diagnose—signs of his dyslexia. Jason is enrolled in AHOB’s new 5-week summer camp programs, which started in June and have fundraised to include more students this year.